So far I have tested so many different natural and organic sunscreens and the issue with many is the white cast which they leave behind. So I am continuing to test different sunscreen brands to find more natural sunscreens suitable for people with darker complexions. Last month when I was in Slovenia I managed to test organic sunscreens from EQ. EQ are a new brand for me and I haven’t tested any of their products before. I picked their organic sunscreens as part of LoveLula accredited blogger programme (being part of this programme allows me to pick some natural beauty products every month, these products are then gifted to me and in exchange I write my honest review). EQ is a well-being company offering a range of products inspired by the surfing lifestyle – from body & hair care products to sports care and home fragrance. Their motto is simple: “Live, Love, Care”. Love isn’t only an essential value for the brand, it’s a value for life, they say. Because it’s not just about care, it’s all about love. Love for future generations, for the planet and for yourself. I just love what the brand stands for. They don’t only care about the environment, they care about animals as well. None of their products is tested on animals. Furthermore, all their sunscreens are non-toxic to coral reefs and the marine environment. Not to mention that they are good for your skin as well. What’s more, EQ’s products are certified by ECOCERT® and COSMEBIO® accredited. To get 15% off EVOA organic sunscreens from EQ click here. I picked EQ EVOA Organic Sunscreen SPF30 for my fiance who doesn’t like using sunscreens with SPF50 but also SPF30 is something I use when the sun is not that strong. My fiance hates sunscreens which leave his skin white. His complexion is darker than mine so any whiteness on his skin does stand out. I was hoping that SPF30 EQ sunscreen will be ok for him. As soon as I got it I tested it on my skin. My first impressions were good. I excitedly told him: “Look darling, this cream doesn’t leave any whiteness!” I was truly happy to see no whiteness. EQ EVOA SPF30 sunscreen blends in really well with the skin, you just have to massage it well until whiteness totally disappears. I was so happy to have discovered another natural sunscreen which doesn’t leave a white cast behind. The sunscreen is rich in organic antioxidants, nourishing and regenerating vegetable oils and it’s suitable for the most sensitive skin. It does contain beeswax so it’s not suitable for vegans. High Protection against UVA/UVB (SPF30). Anhydrous texture with a rich and film-forming touch. All in all, I am really impressed with this organic sunscreen and I am happy to recommend it to anybody. It did protect us well on our holidays in Slovenia. For myself, I always try to buy the highest SPF sunscreen that I can and that’s because my skin is quite fair and needs high protection. Unfortunately, all the SPF50 natural sunscreens that I’ve tried so far leave my skin slightly white. It’s not so much of a problem for me as I am so fair anyway but still, it would be nice to find a natural sunscreen with SPF50 that doesn’t make my skin any whiter. So what did I think about EQ EVOA Organic Sunscreen SPF50? Its key features are almost the same as EQ’s SPF30 sunscreen. So it doesn’t contain parabens, PEG and it’s free of allergens. It hasn’t been tested on animals and it offers high protection UVA/UVB. You can use it on your face and your body and it’s suitable for the whole family, including children. But does it leave a white cast behind? 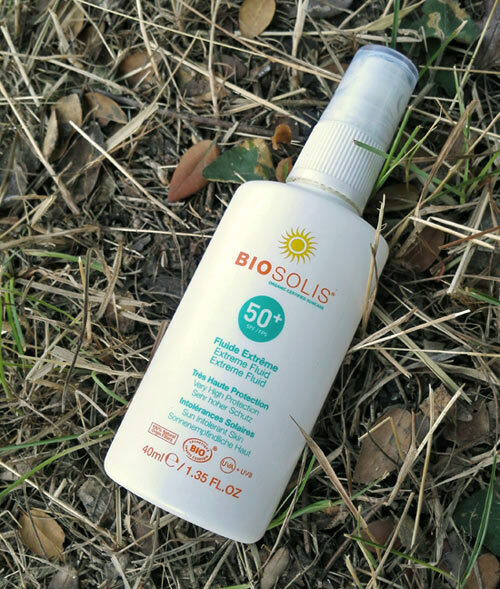 Unfortunately, yes it does make my skin slightly whiter but it’s not as bad as some other sunscreens that I’ve tried (Biosolis SPF50 was the worst for this, from what I can remember). For this reason, I would recommend this sunscreen only to those who are naturally pretty pale. I loved EQ EVOA Organic Sunscreen SPF30 and I would happily recommend it to anybody, regardless of their skin colour. The SPF50 EQ sunscreen is more suitable for fair people and children though. All in all, I am really happy to have discovered this brand. I love their ethos and values and the fact that their sunscreens are certified organic. And let’s not forget about their love for the environment and the fact that their sunscreens are not harmful to coral reefs and the marine environment. If you want to purchase any of these sunscreens you can buy them from LoveLula. Remember, if this is your first order you will get 15% off plus a FREE gift. * This post contains affiliate links – if you click on them and purchase a product I get a small commission which helps me maintain this website. This does not cost you anything. All the opinions are my own and non-biased. This sounds so interesting – my hubby requires a minimum of factor 50 and actually finds his choices limited so it’s always good to hear of new brands. 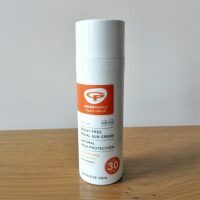 I haven’t yet found a natural sunscreen with SPF50 which wouldn’t leave a white cast and I am not sure whether it exists but if your husband is quite pale then this sunscreen could be good for him. Great post. I’m a big fan of natural sunscreen. 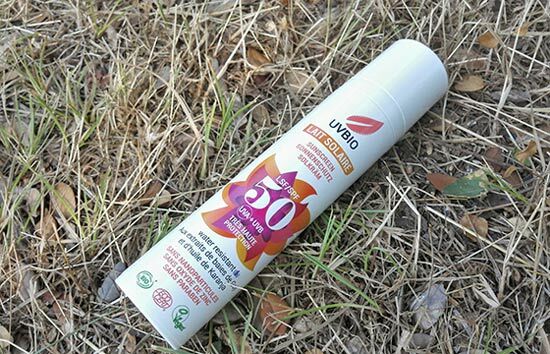 There aren’t a lot of option for natural SPF50, so I glad to read about new brands. Organic sunscreens from EQ are definitely worth trying. Their SPF50 sunscreen doesn’t leave the skin as white as other high SPF sunscreens do. It’s also easier to distribute onto the skin. Hi. I recently brought the EQ Evoa 30 cream but when I squeezed it watery juice just came out like it had seperated, there isn’t a sell buy date on it either. I think I know what you mean. I’ve experienced that before with various creams/sun creams. I think it’s just in the beginning when you start using it you experience that but then it should be ok. Also, some sun creams require you to shake them before use and I guess that’s to avoid this issue. No, I don’t think these sunscreens contain nano particles. I would have known about it if they did. Ingredients’ lists have to state if they use nano technology and I cannot see mentioning this on these sunscreens. Thank you for your review! How was the smell of this sunscreen? The smell is very subtle, nothing in particular and cannot smell any essential oils, but it’s not a bad smell, just difficult to describe. I would say it’s pleasant.